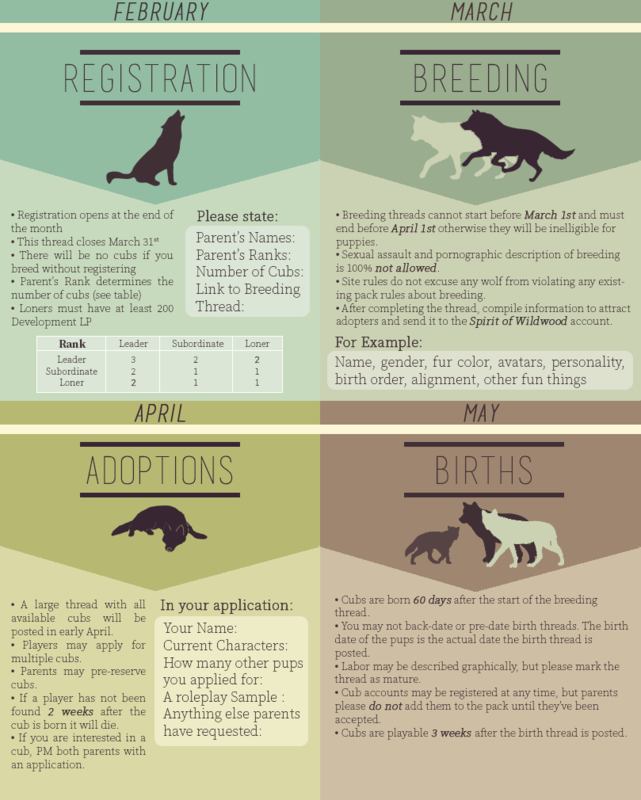 To briefly summarize, breeding season will be open from March 1st to April 1st, with puppies born 60 days after the start of their parents' breeding thread. If you want to have puppies this year, you need to sign up in the registration thread before March 28th. Parents can send descriptions of their puppies to the Staff account and the full list of puppies available to be adopted will be posted in April. Puppies will be playable 3 weeks after they are born. Attention Loners: In order to breed, your character must have 200 development life points before registering. Head on over to the breeding registration thread for more details!